The Tampere Philharmonic Orchestra, comprising 97 musicians, is one of Scandinavia's leading symphony orchestras. In autumn 2013, young Finnish conductor Santtu-Matias Rouvali succeeded Hannu Lintu as new Chief Conductor. Orchestra’s Composer-in-Residence is Jouni Kaipainen. The Tampere Philharmonic Orchestra has its home in the Tampere Hall, the biggest concert hall in Finland built in 1990. 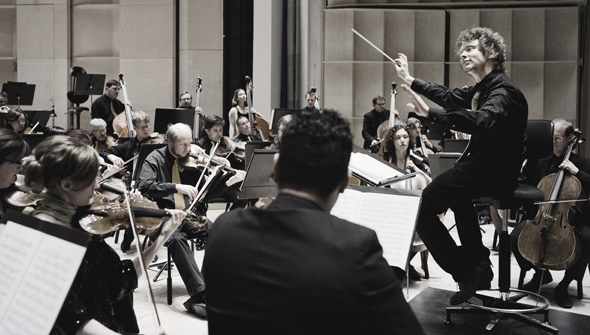 During the winter season the orchestra runs a symphony and a chamber music series, acts annually as opera and ballet orchestra and regularly features at the Tampere Biennale contemporary music festival. It has so far been on tour to Scandinavia, Estonia, Germany, the Netherlands, Spain and the United States. Educational projects and other happenings for children and young people are one of the characteristics of the Tampere Philharmonic Orchestra. It is the first orchestra in Finland with its own club for young listeners. In recent years the orchestra has recorded mainly for Ondine, with such conductors as Hannu Lintu, John Storgårds, Eri Klas, Tuomas Ollila-Hannikainen and Leif Segerstam. So far more than 40 recordings have been launched on national and international markets. The more recent of them include works by Kimmo Hakola, Andrzej Panufnik, Jean Sibelius, Jouni Kaipainen, Pēteris Vasks, John Corigliano, Alma Mahler, Einar Englund and Leo Brouwer. Many of the recordings have received outstanding reviews and accolades, including the Cannes Classical Disc of the Year Award 2004 and altogether five Cannes Classical Awards. The Tampere Philharmonic Orchestra's history spans back to 1930. Since 1947, the ensemble has been maintained by the City of Tampere. The conductors preceding John Storgårds and Eri Klas were Tuomas Ollila, Leonid Grin, Ari Rasilainen, Atso Almila, Paavo Rautio, Juhani Raiskinen and Eero Kosonen.